Whether you’re relocating for a promising new career, seeking out the ideal environment to raise your children, or looking to live closer to your family, the prospect of living somewhere new is exciting. 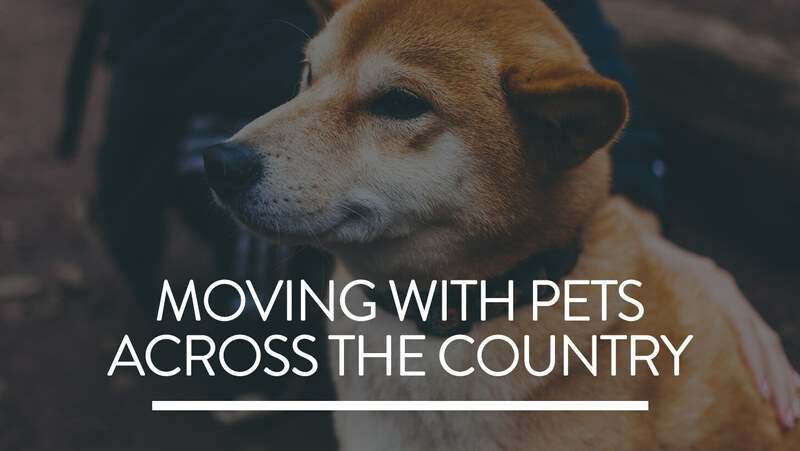 But underneath those feelings of anticipation, you might be dreading all the to-dos that come along with moving across the country. All the complications of a typical household move are magnified with a cross-country relocation – aspects like finding new housing, making sure the kids get resettled quickly, and transporting everything to your destination take more extensive planning, time, and effort than simply moving down the street. 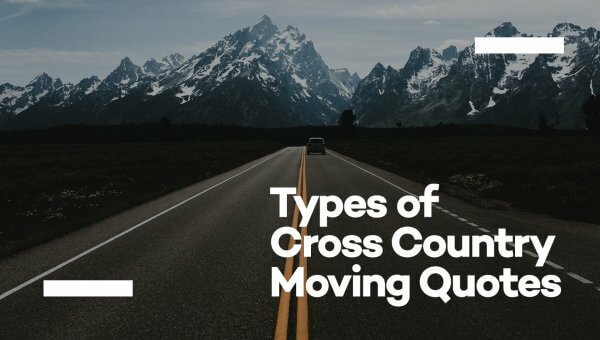 Instead of muscling up and tackling things on your own, hire a professional cross country moving service to do a lot of the heavy lifting for you. Movers improve the speed and efficiency of the relocation process, lightening your load and enabling you to focus on the tasks you can’t hire out. If you think hiring a pro is unaffordable, think again. 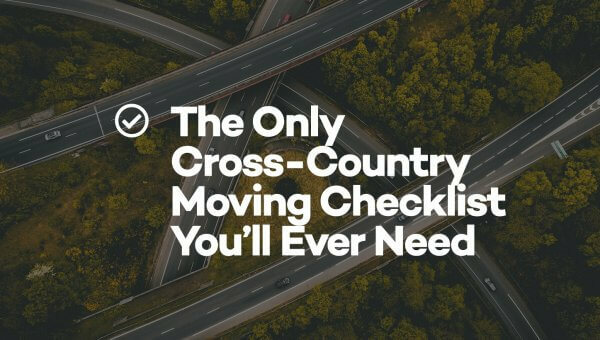 Kip’s Cross Country Movers helps you find the lowest rates from some of the nation’s best cross country moving companies. We have carefully vetted our network of movers for the basics, like licensing and insurance, and to make sure they meet the standards you deserve. Through our platform, you can submit a single quote request and get multiple quotes back from reputable movers who are ready to service your move. From figuring out how to best pack your belongings to navigating a box truck through interstate traffic, the professional movers you’ll find here will handle the tough parts of a long distance relocation, so you don’t have to. 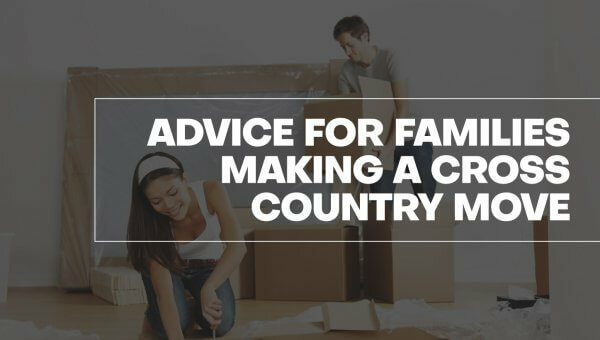 If you’re looking to plan a cross country move, there lots of ways to get it done. The circumstances of your move will play a big part in how you go about your relocation. As you plan, you’ll want to consider how much time and labor you’re willing to invest directly in the task. It’s also important to keep in mind the hidden costs that come with any move. Preparation is key, but it’s best to plan for the worst in terms of time, labor, and money. Here are a few options to consider before you start packing up your belongings. The popularity of the minimalist lifestyle has grown exponentially in the past few years. People who embrace this way of living often speak of how liberating it is to give up unnecessary worldly possessions. Stripping down household goods to the essentials comes with lots of perks: fewer worries, contentment, and focus on quality of life, just to name a few. If you’re a do-it-yourself kind of person, renting a truck through a logistics company like U-Haul or Penske might be an enticing prospect. For smaller moves, these trucks often offer all the space you need to carry all your possessions in a single trip. Plus, you’ll know exactly what you’re getting because you’ve packed everything inside yourself. This method is typically cheaper than hiring a professional moving company to oversee your relocation. But the advantages that come from hiring your own truck can also be a double-edged sword. Sure, you’ll have the comfort of knowing you’ve packed and secured everything yourself, but that also means that you need to spend your own time and labor overseeing the packing process. 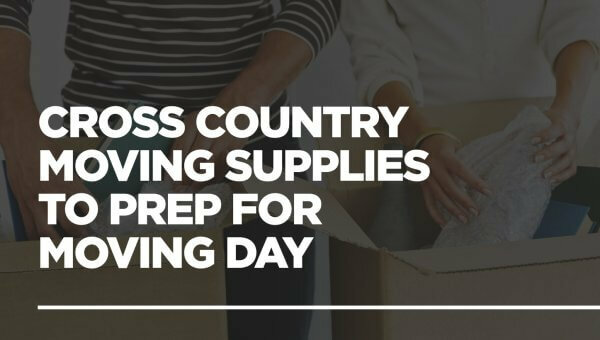 If you don’t have much experience packing for a cross country trip, you run the risk of accidentally breaking or damaging your boxes and furniture along the way. It also brings with it several logistical problems. You’ll have to determine how to get your vehicle to your new destination since you won’t be able to drive it yourself. And finally, trying to navigate a large truck through tight city streets or on busy highways can turn into a real chore. Many of the pros and cons of renting a trailer are similar to those of renting a moving truck, chiefly: you can potentially save money by handling the packing and unpacking yourself. However, the cargo trailer has the added advantage hitching it directly to the back of your car or truck. There’s no need to coordinate with friends, family, or an auto transport company to get your vehicle to your destination. You also won’t have to worry about the discomfort of spending hours on the road in an unfamiliar or uncomfortable truck. Most truck rental companies offer cargo trailers in a wide variety of sizes as well, so you can scale your rental to accommodate your specific needs. But as with a truck rental, you’ll have to pack and unpack your belongings yourself, and one misstep can lead to a disaster on your arduous drive across the country. Attaching a trailer to the back of your vehicle is even more cumbersome than dealing with a box truck, making it difficult to effectively navigate the streets or park. You also must worry about the security of your trailer if you decide to make any pit stops along the way. Portable storage containers are becoming an increasingly popular alternative to traditional moving services, as they split the difference between hiring a company and doing the job yourself. Storage units come in a variety of different sizes. They also provide you with a long-term space to store your belongings if you anticipate an extended packing process, or if you have a gap between leaving your old place and moving in to your new one. Portable storage providers will even handle the transportation of your container to your new home. But as with renting your own truck or trailer, the impetus is on you to properly pack and secure everything inside the container, and many of the containers you’ll find are neither climate controlled or waterproof. Many neighborhoods forbid the use of containers, as they take up a large amount of space and can tear up the lawn. Residents moving out from an apartment complex may simple not have the room to make use of a storage container. If you’re looking for the most convenient option for your interstate move, hiring movers is your best bet. These professionals handle all the heavy lifting themselves, and many moving companies offer full-service options, so you won’t have to worry about packing and unpacking your own goods. And since they’re staffed with experienced professionals, you can look forward to a smoother and less painful moving process. Hiring a mover also provides you with the ability to get to your destination earlier. Whether you’re looking to explore the scenery during your cross-country drive or get some painting and repair work done at your destination before your belongings arrive, you’ll have more wiggle room in your schedule. You can also be secure knowing that you’re working with professionals who are fully bonded, licensed, and insured. Of course, you can expect to pay a premium when you enlist the services of a professional mover. Their rates are typically higher than what you’d pay renting a truck, trailer, or storage unit, but you might be surprised at how affordable a quality moving company can be. Kip’s Cross Country Movers can provide you with free estimates from legitimate moving companies in your area. After scheduling an in-home estimate, you’ll have an accurate understanding of what you can expect to pay without having to worry about the hidden expenses that plague a self-planned relocation. When you rent a trailer or hire a moving company, you can simply drive your own vehicle to your new home. But it can be a little trickier if you’re flying into town, renting a moving truck or dealing with multiple cars. Fortunately, there are several options available to you. You can always find someone else to drive your vehicle. If you can’t enlist the help of a friend or family member, there are professional drivers willing to lend their services. Additionally, auto transport companies offer vehicle transit in open and enclosed carriers. Before hiring these services, you’ll want to make sure your provider is fully bonded, licensed, and insured. Amtrak offers similar car delivery services by train. The latter two options are especially appealing because they can prevent unnecessary and unwanted mileage or wear and tear on your vehicle. 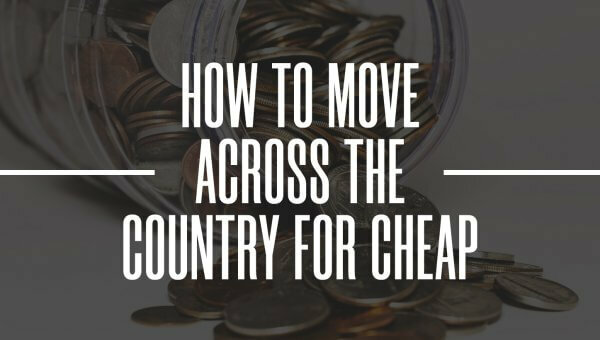 The average cost of a cross country move is $4,300 dollars, nearly double the cost of a local move! Though this is the average cost, pinning down exactly how much you can expect to spend on your relocation is an exceedingly tricky task. Every move is different – the specific details of your relocation play a huge role in what your final bill will be. 1. Weight: While local movers charge by the hour, the extensive time investment in a cross country move and other unpredictable factors means that moving companies charge rates based on how much stuff they’re moving. The average cost of a cross-country move mentioned above, assumes a load weight of 7400 pounds, or the weight equivalent of the contents in a standard 3- or 4-bedroom house. To most drastically reduce your moving costs, carefully consider what you want to take with you. The cost of moving that ratty old couch a few states over might be more than simply having a shiny new sectional delivered to your destination. 2. Distance: The other major factor when budgeting for a long-distance move is the distance from your point of origin to your destination. Unfortunately, you don’t have much control over this, but be aware this has a significant impact on how much you’ll pay your movers. Studio apartment: Moving from a studio apartment, which is estimated at roughly 1000 pounds of cargo, should cost approximately $1500. One-bedroom apartment: A one-bedroom apartment is estimated as being able to hold about 2500 – 3500 pounds, and you can expect to pay about $1800 – $2500. Two-bedroom home: A two-bedroom home, with about 5000 – 6000 pounds of cargo to be moved, has an estimated cost of $3500 – $4200. These rates assume that you’re moving approximately 1000 miles, so if your relocation is longer than that, anticipate higher quotes. All the estimates listed above are predicated on basic moving services – loading the truck, driving it to the destination, and unloading it. Many movers offer full-service plans that include packing and unpacking as well as secondary services like disassembling and reassembling furniture. Additional services like these are not included in the estimated rates. You should also consider any items that require special attention. Items like valuable art, antiques, and musical instruments might require specialized shipping containers and handling, but the premium you’ll pay to get your treasured possessions safely to their destination is well worth it. While all of the moving companies you’ll find at Kip’s Cross Country Movers are meticulously vetted and fully licensed and insured, you may also want to consider investing in insurance for your relocation. While the cost of hiring a moving company constitutes the bulk of what you can expect to pay, this isn’t the only factor to keep in mind when planning your move. Transportation expenses are a factor that people often fail to consider. You’ll want to budget for the cost of food, lodging, and gas if you’re driving to your new city or the cost of plane tickets if you’re planning on flying into town. These may seem like small and inconsequential expenses, but they can add up quickly if you’re not careful. The mileage you put on your car by driving across country isn’t a direct expense, but it can be costly as it further depreciates the value of your vehicle and may lead to additional repair and maintenance bill. If you’re concerned about running up the odometer on your vehicle, hiring a company to transport it for you might be a more cost-effective solution than it initially appears. Finally, you’ll want to evaluate how much time you can expect to invest in your move. Hours lost at work packing up your things or driving to your destination equate to lost money. And what at first might seem like a simple packing job can quickly escalate into a drawn-out process. Biting the bullet and paying for a full-service move could be the most economically sensible thing to do when considering the more complex logistics that come with a long-distance relocation. With the right group of friends and a strong work ethic, you might be able to handle a local move to a new apartment over a long afternoon. But moving to another state is a horse of a different color. Even the smallest moves can morph into prolonged and frustrating affairs when you’re trying to navigate a truck across busy stretches of highway that go on for miles. Hiring a moving crew can relieve the stress of your move. We can connect you with thoughtful and high-quality movers who understand the specific issues that come with a long distance relocation. Moving furniture is one of the most taxing aspects of any relocation as it tends to be both heavy and bulky. Getting a particularly hefty couch upstairs, manipulating it around a narrow landing, and squeezing it through a door is a geometric puzzle that would give even the most mathematically-minded person a panic attack. The moving companies you’ll find here are up for the task, and they can even handle the disassembly and reassembly of your furniture in the process. Entrust moving your furniture to a skilled professional with the tools and manpower to do the job right. Packing your belongings may not be as labor-intensive as moving furniture or boxes, but it can be one of the most time-consuming aspects of a long-distance move. The way you pack and stack your boxes can also have a significant impact on the safety of your belongings. The relocation companies here are pros, and they understand the ins and outs of a quality move implicitly. You can save time and stress when you invest a little extra money by purchasing packing services. If you’ve ever tried to move a piano, you probably understand what a back breaking endeavor it is. Even the smallest pianos are unbelievably heavy and awkward. One wrong move can cause you serious injury or risk damage to the sensitive inner workings of your musical instrument. Our cross country moving companies are ready to handle everything from spinets to consoles to concert grands to uprights, and they’ll always treat your pianos with the care and delicate touch they require. They take care to ensure they’re properly packed and secured in the truck, to prevent damage on the long cross-country trip. 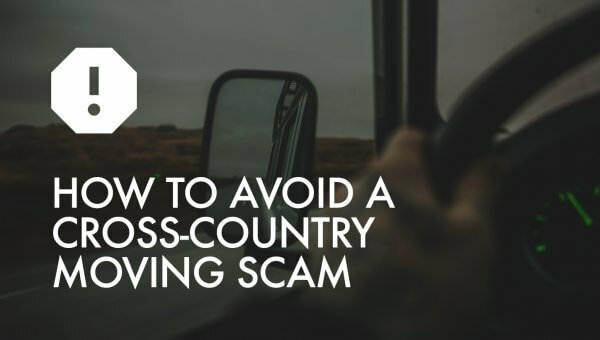 A cross country trip may seem like a fun adventure, but that’s before you’re a hundred miles into the middle of nowhere and nodding off at the wheel. Then, there’s the cost of gas, lodging, and food to consider and the added mileage it’s going to put on your odometer. Hiring a professional car transport company is an effective solution. Your car will be safely stored away on the back of a specialty trailer, and you won’t have to worry about depreciation from racking up all that extra mileage. Whether you’re moving to a palatial estate or a modest townhouse, you can expect all the moving companies in our network to treat you right and communicate effectively with you through every stage of your cross-country relocation. Since long distance moves are billed according to the weight of your cargo and the distance of your move rather than by hourly rates, you’ll know exactly what you can expect to pay once you schedule your in-home estimate. To top it off, we carefully vet all our partner moving companies to make sure that they’re fully licensed and insured. Planning a long distance move means managing a whole lot of moving parts, but you can take the logistics of getting your belongings where they need to be out of the equation when you hire a company through Kip’s Cross Country Movers. A full-service move includes packing and unpacking services in addition to transit, so you can focus on the other practical considerations of your relocation. You can get settled in faster, stop to smell the roses, and have the time you need to make your new house a home before the moving company even arrives. Modern appliances are exceedingly complex pieces of machinery, so their transit is best left to the professionals. If you try moving them yourself, one wrong move can transform them quickly into useless scrap metal and leave you with broken bones for your efforts. At best, you can still expect to be rewarded with aching muscles for days. The moving companies in our network are confident, strong, and experienced. They come equipped with all the tools to safely and effectively transport and secure your appliances for the entirety of your cross country move. The very thought of relocating a pool table can be an immediate deterrent from setting up a game room at your new house. These beasts are heavy, unwieldy, and surprisingly delicate, and moving them can seem downright impractical. But the moving companies you’ll find through us do this for a living, and they have the equipment on hand to get your pool table safely across state lines. Let them do the heavy lifting, and you’ll have your rec space perfectly arranged in no time at all. Moving art comes with its own considerations. Whether you’re talking about an imposing marble statue or a small but fragile original print, moving art requires a soft touch and an extensive knowledge of how best to handle it. We can connect you with a moving company that will treat your pieces of art with the care they deserve and provide you with the insight you need to make sure they reach their destination without any blemishes. For help with your upcoming cross-country relocation, call Kip’s Cross Country Movers. We’ll provide you with quotes from nationwide moving companies, so you can compare rates and save! Move Easy. Move Happy. Move with Kips Cross Country Movers.